Performance-oriented readers of German car magazine vote Alfa Romeo Giulia Quadrifoglio top pick of the category ‘Imported Standard Sedans/Station Wagons up to €100 000’. Alfa Romeo Giulia Veloce is victorious in category ‘Imported Standard Sedans/Station Wagons up to €50 000’. Both models also score third place in their respective overall category, ahead of major German competitors. Once a year, Germany’s renowned car magazine ‘sport auto’ asks its performance-oriented readers about their favourite models. This is why the result of the ‘sport auto award’, which focuses primarily on the dynamic capabilities of each competitor, is widely regarded as a benchmark for manufacturers of sports cars. 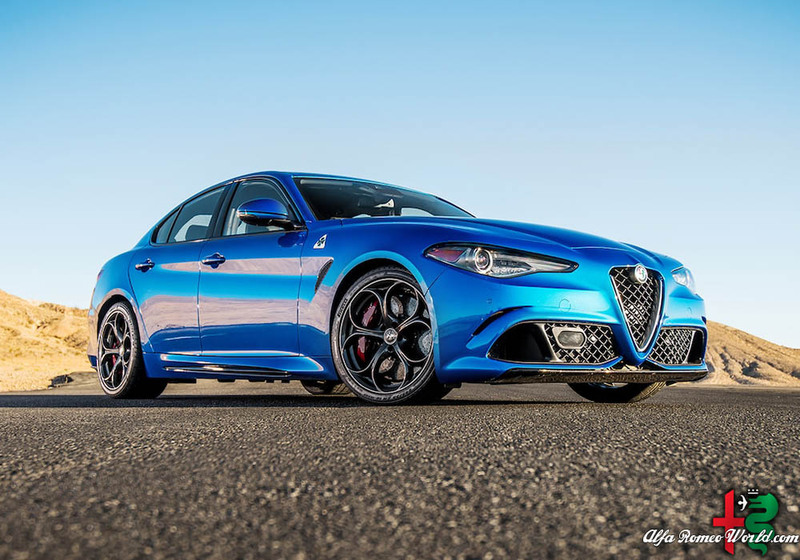 For the second time in a row, the Alfa Romeo Giulia emerged strongly. In keeping with 2017, the range’s top model, the Alfa Romeo Giulia Quadrifoglio, powered by a 2.9 V6 bi-turbo petrol engine delivering 375kW, won the import class of the category ‘Standard Sedans/Station Wagons up to €100 000’. The Alfa Romeo Giulia Veloce, having a 206kW turbo petrol engine 2.0 under its bonnet, was rated number one import car of the category ‘Standard Sedans/Station Wagons up to €50 000’ by the readers of ‘sport auto’ magazine. Both Alfa Romeo Giulia models also competed in the overall classification of their respective categories, facing strong German competitors. Once again, the readers of ‘sport auto’ again demonstrated their preference for Italian design, style and performance. They rated the Alfa Romeo Giulia Quadrifoglio third overall in the category ‘Standard Sedans/Station Wagons up to €100 000’ and the Alfa Romeo Giulia Veloce also achieved a strong third place in the overall category ‘Standard Sedans/Station Wagons up to €50 000’. “We are very proud to win two import categories at the ‘sport auto award’ with the Alfa Romeo Giulia for the second year in a row,” said Rebecca Reinermann, Director Marketing Alfa Romeo and Jeep, during the prize giving ceremony at the magazine’s hometown of Stuttgart. “Another great result is reflected by the two third overall positions against strong German competitors. Also, in future, we will continue our effort to impress more than just the readers of ‘sport auto’ with high-performance cars from Alfa Romeo,” she added. This was the 26th sport auto award’, an annual event organized by one of Germany’s top car magazines. In total 238 sports car models competed in 25 categories, 15 of them with an additional import class. Evidently, there was a good number of Alfa Romeo fans among the more than 11 000 readers who cast their votes.